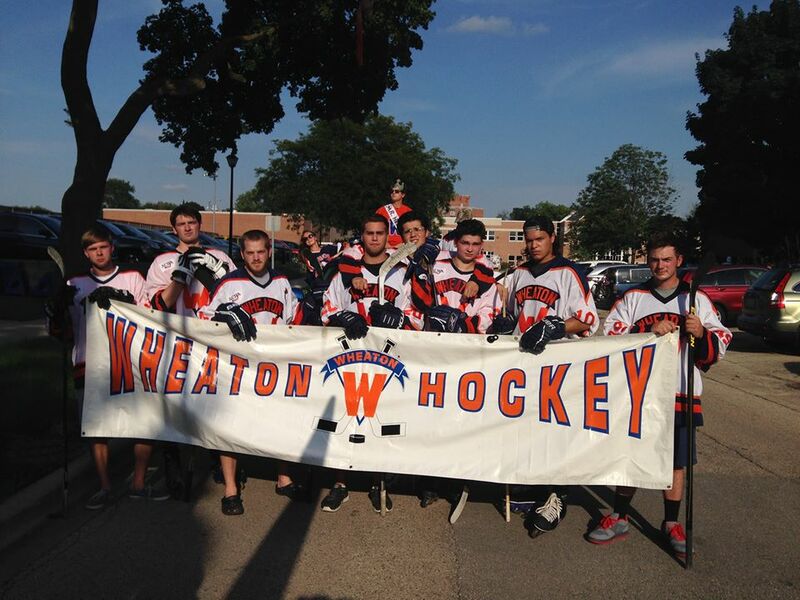 Wheaton Hockey made their first public appearance this school year. Returning members bore the banner proudly at the Mastodon March, Wheaton College’s annual parade. Joining us this year were campus celebrities C-Train and Mr. Hockey. Get excited for seeing your team this fall like never before! Updated roster and schedule coming soon.